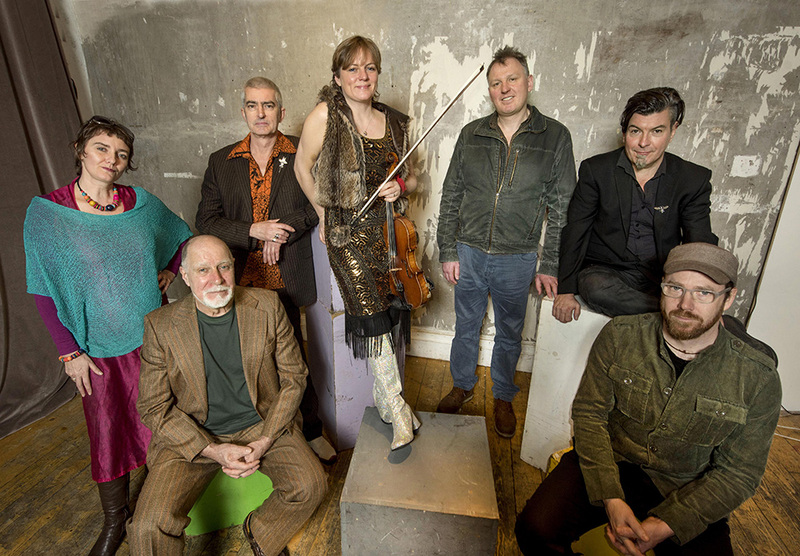 Shooglenifty was formed in 1990 by musicians from the Scottish Highlands, Orkney and Edinburgh. Its bright spark was the idea of fusing traditional and traditional-sounding melodies with the beats and basslines of a mixed bag of more contemporary influences. As happy playing a small highland village hall as they are on an outdoor festival stage playing to tens of thousands, the Shoogles (as they’re known to their fans) have promoted Scottish music all over the world for more than a quarter century. 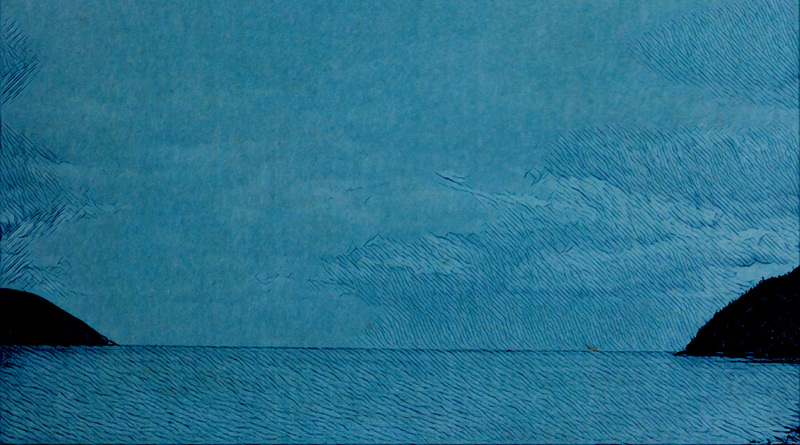 In 2015, Shooglenifty celebrated their 25th Anniversary by playing venues in Sarawak and Stornoway, Lorient and London, Adelaide and Aberdeen, Bangalore and Bristol, and released their seventh studio album The Untied Knot. This featured the first ever collection of Shoogle songs and introduced their newest member, puirt à beul vocalist Kaela Rowan. It received a 5* ‘Top of the World’ rating in Songlines, among many other favourable reviews. Songlines also nominated the band for Best Group in early 2016. 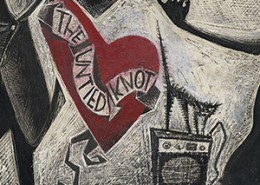 The Untied Knot was nominated for Best Album at ‘Na Trads 2015’ – the Scottish Traditional Music Awards. The band’s gig calendar for 2016 included festivals in The Netherlands, Australia, New Zealand, Austria, Switzerland, England, and, of course, Scotland. They were nominated for Best Scottish Group at the Sunday Herald Culture Awards in July 2016, manfully losing out to Scottish Opera. In October 2016, the band lost their fiddler Angus R Grant to cancer, and took the end of that year to take a well-earned pause. They were bowled over by the numerous tributes and stories shared about their influential front man, not to mention the outpouring of love for Angus on social media. 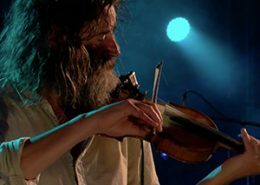 In January 2017 they channelled that emotion into a tribute gig for Angus at Celtic Connections featuring no less than 62 musicians who were all touched by his music. In December 2017, A Night For Angus won Event of the Year at the Scottish Traditional Music Awards (Na Trads). The Shoogles’s 8th studio album Written in Water was released in November 2018 . Recordings took place at the magnificent Mehrangarh Fort in Jodhpur in October 2017 in 40 degree heat! Written in Water is a joint project between Shooglenifty and Rajasthani supergroup Dhun Dhora, with whom the band have been playing with since 2014. Literally meaning ‘Music of the Dunes’ Dhun Dhora hails from the Thar Desert north west of Jodhpur, close the the Pakistani border. The band’s members are all traditional musicians who have been playing for as long as they remember and their performing lineages go back at least ten generations in each case. Performing in two minority languages – Gaelic and Marwari – Shooglenifty and Dhun Dhora know how rich their own traditional cultures are and are at the forefront of keeping them very much alive. They may converse in different tongues but they speak the same language musically. The project is very much a live interplay of equals rather than two bands bolted together for the short term. The Indian musicians, used to a life of patronage and playing to order, were a little reticent in the early days. But they have responded, over the past few years, to the deep respect and friendship offered by the Scots and together they have developed a mischievous improvisational musical kinship that is a delight to witness. Instrumentation on the album includes Shooglenifty’s regular line up of fiddle (supplied by the amazing Laura Wilkie), mandolin, guitar, banjo, bass, drums and vocals plus Dhun Dhora’s majestic dhol drummers Swaroop, Sattar, Channan and Pyaaru Khan Manganiyar, über vocalist and harmonium player Dayam Khan Manganiyar, morchang and bhapang specialist Latif Khan Manganiyar, master of khartal Ghafoor Khan Manganiyar and sarangi superstar Sardar Khan Langa. In February 2018, Eilidh Shaw joined the band as permanent fiddle player. 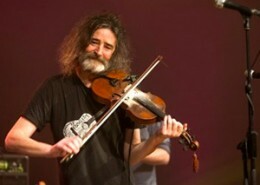 Eilidh is a West Highland fiddler with a playful, infectious energy who was taught by Aonghas Grant (our Angus’s father).